ALADIN The Aladin, the first standard lamp with four compact light sources, quickly became a trendsetter and the model for development of mobile office lighting. 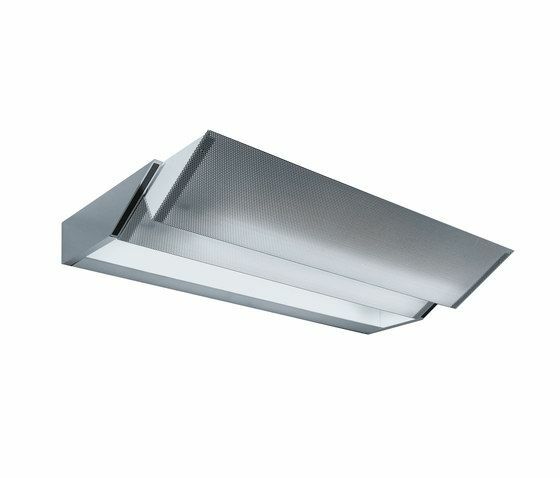 The glare-free direct light source provides ideal illumination in office areas. The ballast is located in the aluminium box on the rod and guarantees flicker-free light. The lamp can be switched to two different levels. ALADIN W1 and ALADIN W2 The Aladin W1 and Aladin W2 are companions to the direct/indirect standard lamps Aladin and Eco. The finely perforated refl ector has the typical angular shape of the Aladin which spreads the light optimally and creates good general-purpose illumination. The aluminium surfaces are ageresistant and assure perfect distribution of the light. WESIR The Wesir standard or table lamp is fi tted with a high-intensity compact light source. The finely perforated reflector is height-adjustable and can be turned to all sides. The Wesir is especially suitable for living areas where safety and economy are required.